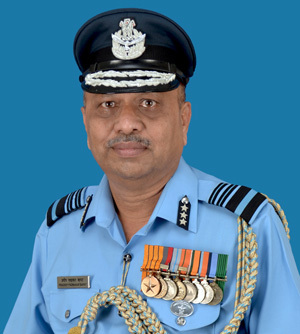 Air Marshal Pradeep Padmakar Bapat VSM took over as Air Officer-in-Charge Administration (AOA) of Indian Air Force on November 1, 2018. 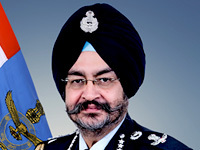 He succeeds Air Marshal HN Bhagwat AVSM VM who retired on October 31, 2018. Air Marshal PP Bapat was commissioned in the Indian Air Force in the Administrative Branch on May 28, 1983. A post Graduate in Zoology from Vikram University Ujjain, he was commissioned as a Fighter Controller. 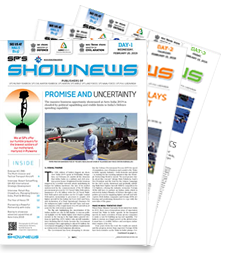 He has also carried out the assignments of Senior Administrative Officer and Chief administrative Officer of a Su-30 base in his subsequent tenures. He was a member of IAF team which participated in a joint exercise with South African Air Force named Golden Eagle at Hoiedspruits in South Africa. Prior to assuming the duties of AOA, he discharged the responsibilities of Director General (Works & Ceremonials). Air Marshal PP Bapat is a keen sportsman and has represented Madhya Pradesh state twice in National Cycle Polo tournament. He was associated with the Air Force Cycle Polo team as a Manager for three years. He was also appointed by Cycle Polo Federation of India as the Manager to Indian Cycle Polo team during last Tri-series tournament between India, Pakistan and Nepal held at Jodhpur. In recognition of his meritorious service and exceptional professionalism, he was awarded 'Vishisht Seva Medal' by President of India in 2014. Air Marshal is married to Smt. Smita and they have two sons.